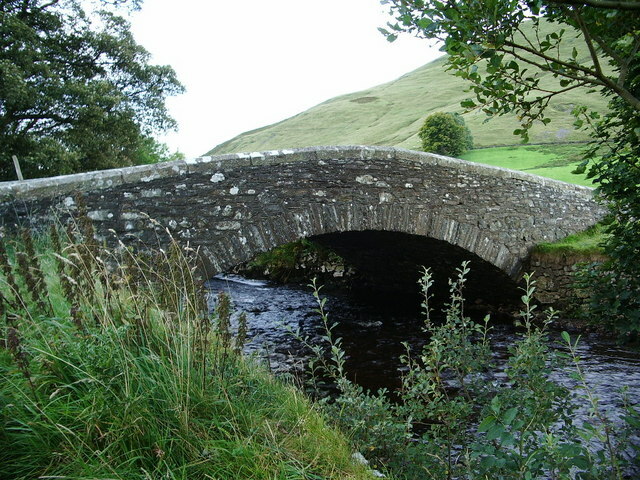 Mosedale Bridge crosses the River Caldew, between Mosedale and the hamlet of Bowscale in Cumbria. 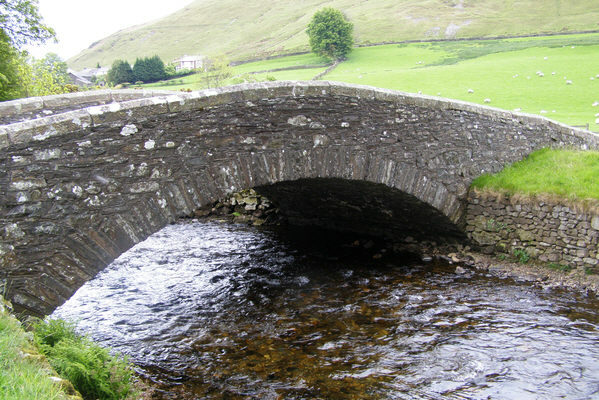 The single span bridge is built from coursed Skiddaw slate, with sandstone coping. It was originally a packhorse bridge, rebuilt as a road brodge in the 19th century. The bridge is Grade II listed. - "Roadbridge now by-passed. Probably early C19 rebuilding of a packhorse bridge. Coursed Skiddaw slate with sandstone coping. Single-span segmental humped-back bridge of double track width. Solid parapet with chamfered coping..."